Bingo: it’s as straightforward a game as you are likely to find. The caller shouts out the numbers, you mark them off your card and eventually win if you complete a line, house or a specified pattern before anybody else. Millions love bingo, and they simply wouldn’t have it any other way. But what about the more bizarre versions of the game? We’ve trawled the globe to find some of the most downright odd variants of bingo we could find. When charting the most bizarre versions of bingo around, we should start with the grandaddy of them all. Beano is actually a fairly straightforward version of the game; and so it should be, given that bingo as we know and love it today is indebted to this strange variant. So the rules are, in essence, the same as any other bingo game, so it’s all about calling line and house before anyone else beats you to it. But the difference here is in the way you mark your gamecard. Instead of dabbing numbers off with a marker pen, players would cover their number with a bean! Whether a baked bean or broad bean was used varied from place to place, although we doubt many would choose to use jelly beans; the temptation to eat them would be too much to bear. Let’s take a trip to Mexico now, where natives enjoy a fascinating variant that blends bingo with a card game. Players are dealt four cards each with four squares on, which in turn each have different pictures on them. The usual ways of winning apply. But what makes Loteria truly bizarre is how the cards are filled. The caller delivers the identity of the requisite picture by using a riddle, and players have an advantage if they can solve the riddle and fill the square in before the caller reveals the picture. 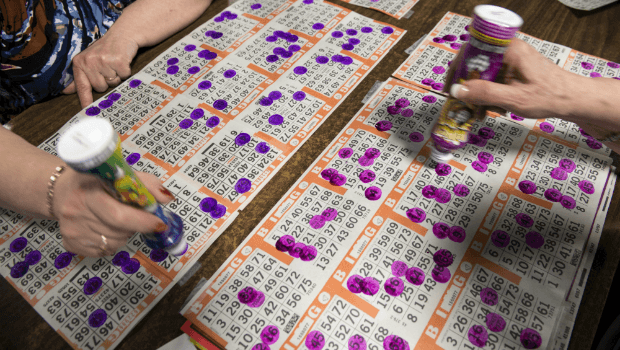 This is bingo as we know and love it, but with one simple difference: you get to choose the numbers you want on your card. All you have to do is pick out eight numbers between one and 75, and if you can match all eight with the numbers called before anybody else, then you can win progressive jackpots worth thousands of pounds. The game is thought to have originated in China, where there is a cultural significance in individual lucky numbers. This is bingo for people in a rush. Players are handed a game card featuring 43 numbers, and these are already drawn prior to getting started. The job is to then mark off your numbers to see if you've matched them all. If you have, and you call house before anyone else, you win the prize. If nobody has completed house, the rest of the numbers are called out as normal one by one, with the winner eventually being revealed. Often, bingo bonanza is played with an increasing jackpot that rises with each passing round. Don’t worry, your life isn't on the line when playing Death Bingo. Like Killer Pool, where players lose a life when they fail to pot a ball, the object in Death Bingo is actually to finish last. The game is played in normal fashion but with a unique twist; when a player completes house, they are eliminated. The game continues until one player – the ‘worst’ – is left with numbers on their card. They are crowned the winner. In Death Bingo, as oft-forgotten actor and singer Nick Berry once sang, ‘every loser wins’. Are Investing and Gambling Inherently Related Ideas?